Villagers celebrate the building of a new well, sponsored by a Kansas donor. These are the words of Lacy McMullen. She and her husband are members of St. Thomas More Catholic Church in Manhattan, KS. 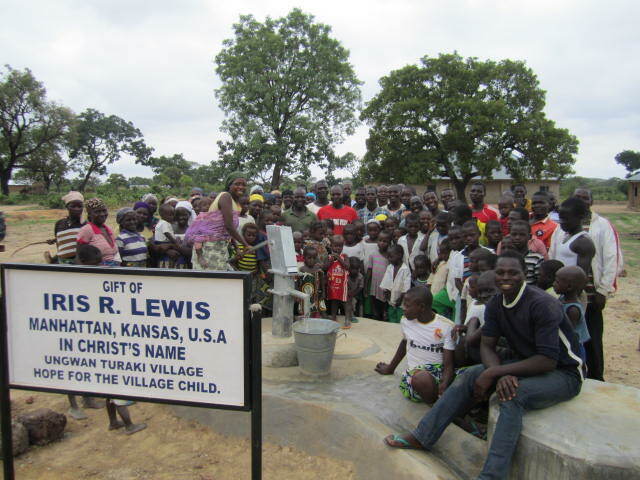 The McMullens have sponsored the building of six wells in Nigeria over the past few years. They have also partnered with other parish families in this small, mid-western town to build wells in other parts of Nigeria so desperate for clean, safe water. Sr. Rita Schwarzenberger, OP, a Kansas native and director of Hope For the Village Child in Nigeria, has visited the church a number of times, telling the members about the community’s need for clean water. Parishioners of St. Thomas More have generously donated $1,200 for each well, for a total of more than $7,000. 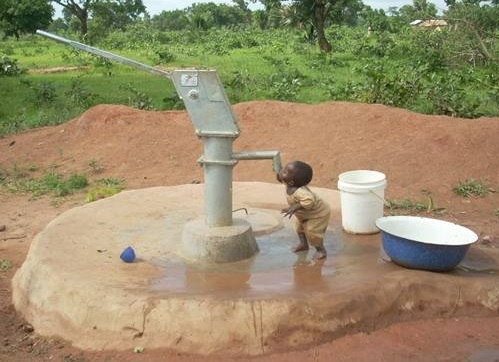 A young boy drinks clean, fresh water from the new well donated by Kansas parishioners. Those whose generosity has helped to build these wells are happy to know, as Lacy says, that theirs is truly a gift that keeps on giving. And for the people of the communities where these new wells are located, the benefits of reliable, clean water are seen in improved sanitation, easier access to water and healthier families. 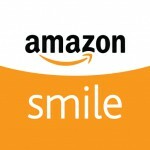 They continue to bless the generosity of the people who have helped give them water – the gift of life.